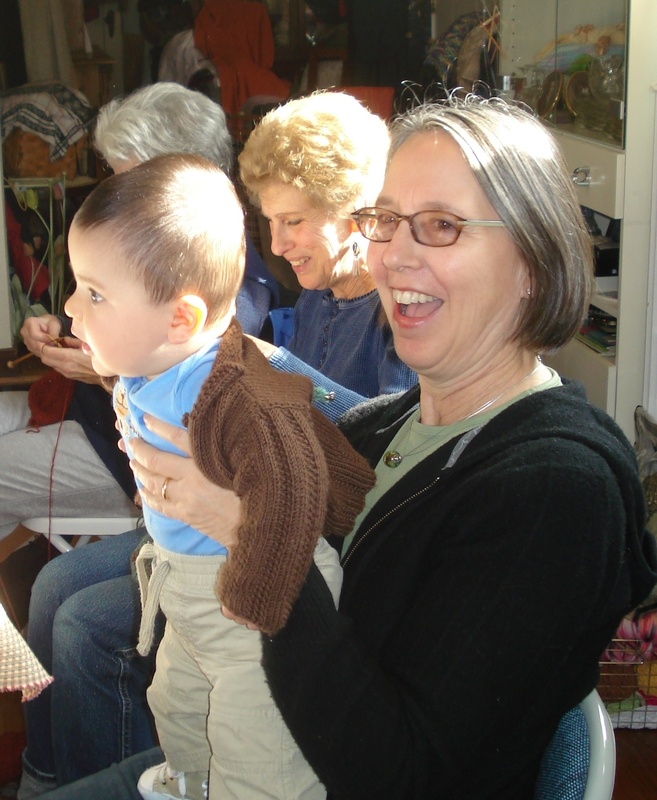 Last Saturday our knitting workshop was already pretty animated when Natasha and Elliot arrived. Now you might remember that Natasha had a baby a few months ago…and we were all so excited for her. 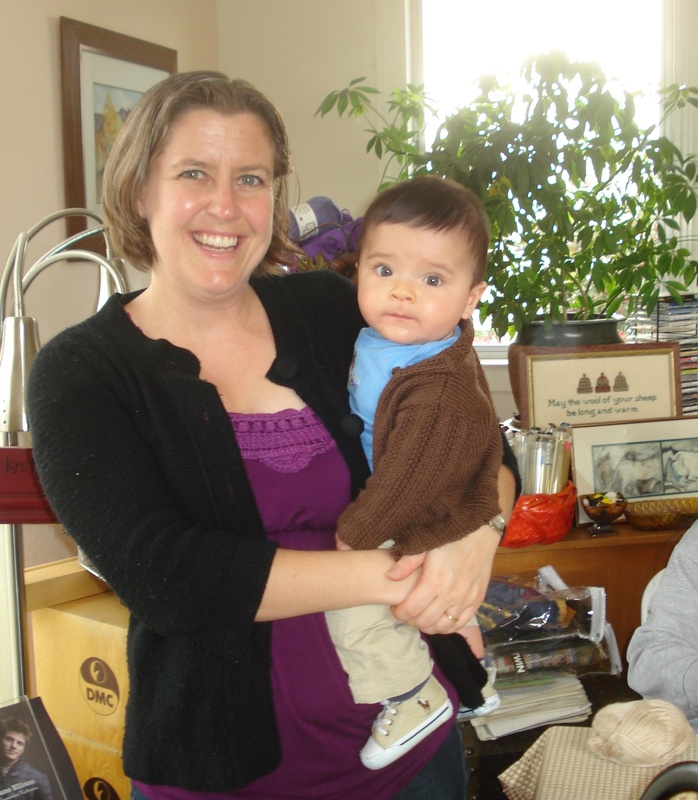 Natasha, an avid knitter, was able to knit for a few minutes while we all took turns holding her lovely baby boy. 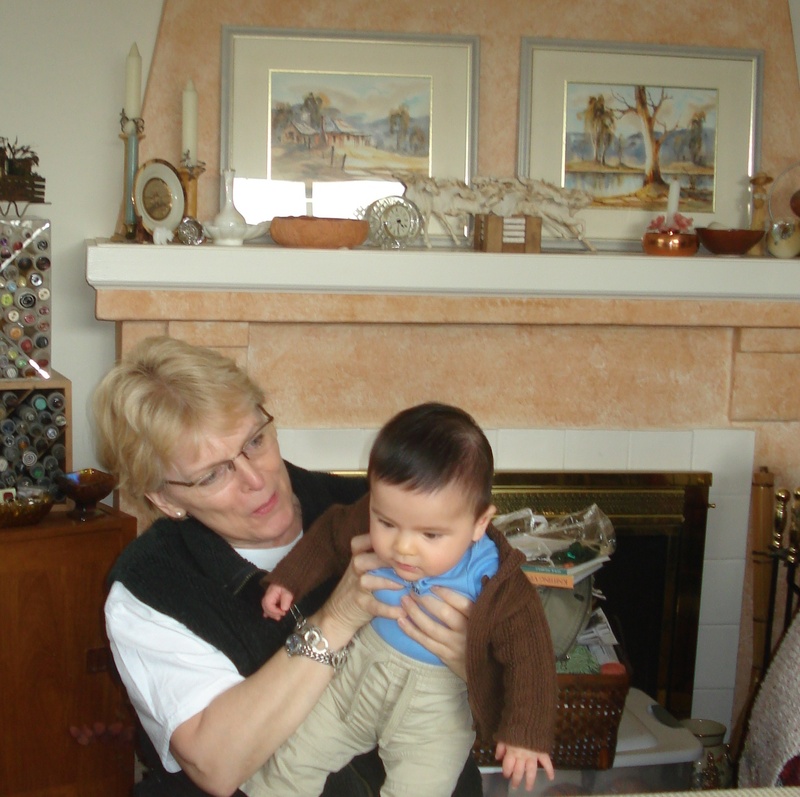 I might add that I had too much fun holding him…before I “handed” him off to other knitting “Aunties”. All babies are a special joy…Elliot feels extra special because his parents waited a long time for him. He is really lovely…his smile for his mother makes your heart melt. 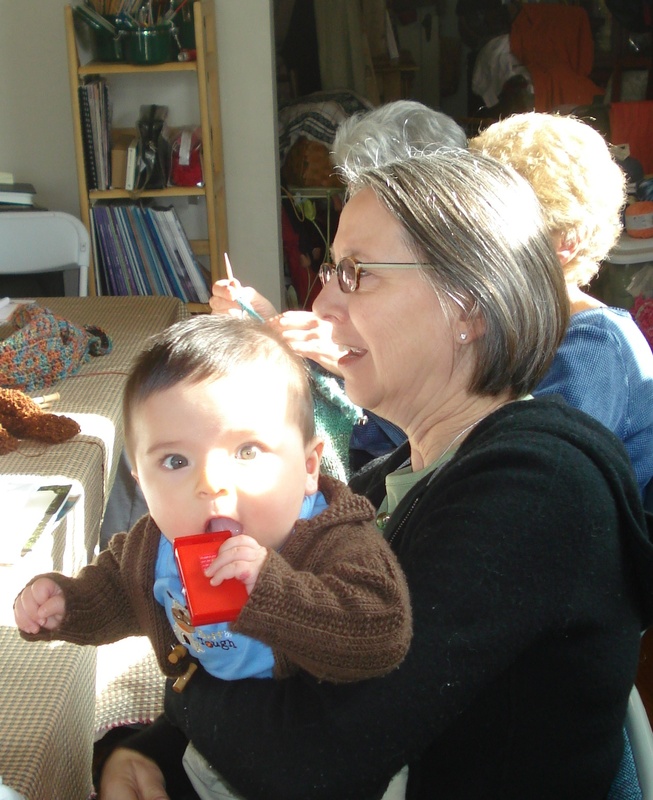 We will teach Elliot how to knit soon…just as soon as he has his walking shoes on.